Expanded Clay Aggregate (ECA) Cemented Mortar is an ideal replacement of Brickbat Coba before IPS and an ultimate lightweight thermal insulation solution. 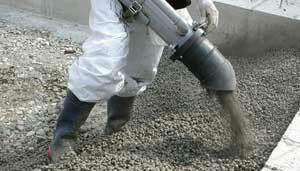 Expanded Clay Aggregate (ECA) cemented mortar is poured on the floor and levelled ( As per desired thickness and slope correction in the range of 50 mm to 100 mm ). For prevention of immediate drying and to allow curing, the mounted layer needs to be covered with plastic material for at least 24 hrs. Post this process, We need to cure with regular spraying of water. Lay any tiles or China Mosaic on the top of the laid Expanded Clay Aggregate (ECA) INSULATION MORTAR. Light in Weight and Strong. Application of the above mortar dramatically improves the thermal and acoustic insulation. Protects from the thermal cycling effects and enhances the building life. Easy application and maintenance free.